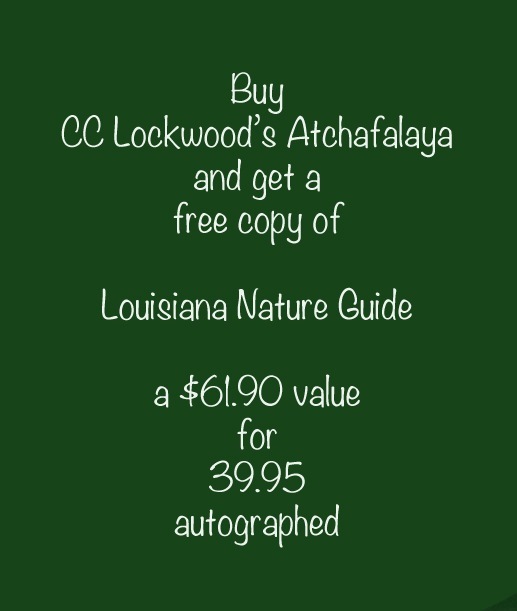 The Atchafalaya Deluxe Gift Set is a rare and very limited collection of CC Lockwood’s best sellers of the Atchafalaya Basin over the years. What makes the Deluxe Set so special is because it includes CC’s first Atchafalaya Book, which is out of print and has limited availability. The deluxe gift set includes three books (one which is out of print), a historic documentary on DVD, A-9 Fine Art Note Card, and a (8 x 10)in signed print.